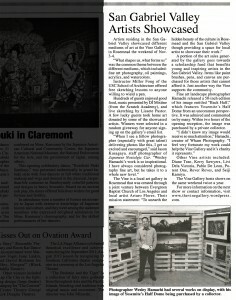 Artists residing from the San Gabriel Valley showcased different mediums of art at The Vine Gallery this past weekend. “What shapes us, what forms us” was the common theme between the different mediums which included: fine art photography, oil paintings, acrylics, and water colors. Instructor Miller Fong of the USC School of Architecture offered free sketching lessons to anyone that was willing to yield a pen. Hundreds of guests enjoyed good food, music presented by DJ Mixtine (from the Scratch Academy), and live sketching by Lissete Pastor. A few lucky guests took home art donated by some of the showcased artists which they were selected in a random giveaway for anyone signing up on the Gallery’s email list. 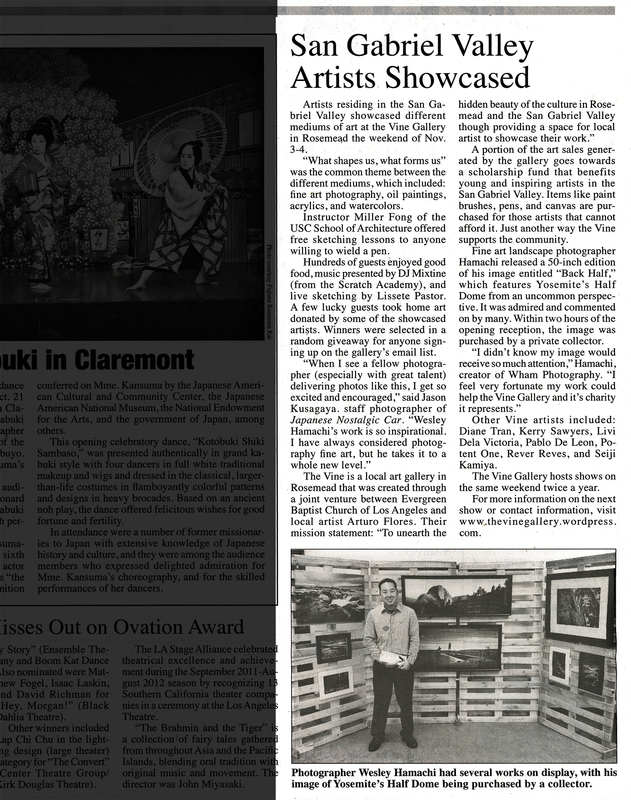 A portion of the art sales generated by the gallery goes towards a scholarship fund that benefits young and inspiring artists in the SGV. Items like paint brushes, pens, and canvas are purchased for those artists that cannot afford it. Just another way the Vine supports the community. Other Vine artists included: Diane Tran, Kerry Sawyers, Livi Dela Victoria, Pablo De Leon, Potent One, Rever Reves, and Seiji Kamiya. The Vine Gallery hosts shows on the weekend twice a year.